Made for versatility, this John Hardy necklace from the Naga collection is that great go-to piece. 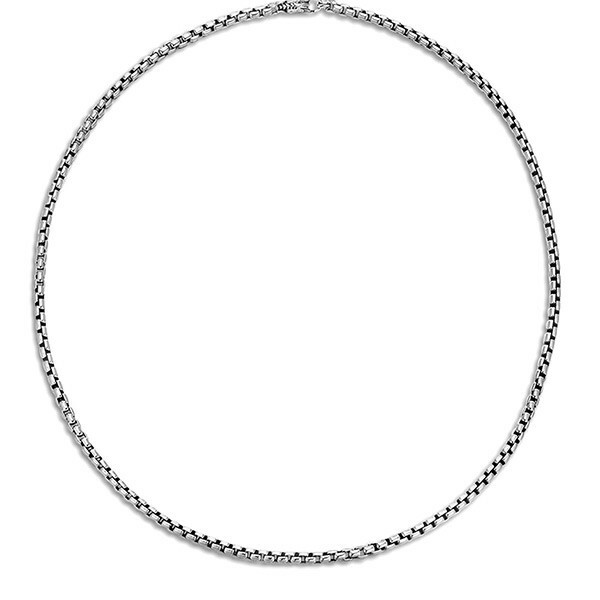 The box chain links are handcrafted in lush sterling silver for a gorgeous drape, and at 24" in length, it is perfect for a solo look. It can also be embellished with a fabulous John Hardy enhancer (sold separately) to upgrade your style, or it can be layered with other pieces for a more dramatic effect. Any way you wear this John Hardy necklace, you will definitely create a look that is all you!